Zinc is a bluish-white, brittle metal that has been known to man for millennia–as part of alloys such as Brass, even before it was extracted and produced onits own. The fourth most common metal in use (after Iron, Aluminum, andCopper), Zinc is extracted easily from concentrated ores. The most significant use of Zinc isan anticorrosion agent, whereby itisapplied to Iron or Steel as a coating, through the process of galvanization. This is because Zinc is more reactive than either Iron or Steel and attracts almost all local oxidation towards itself until it completely corrodes away. Beyond this, Zinc is a core ingredient for several widely used alloys. In the case of Brass, the addition of Zinc to Copper makes it stronger, more ductile and corrosion resistant. Alloys of Zinc with trace amounts of Copper, Aluminum, and Magnesium are used in die-casting, especially for the automotive, electrical, and hardware industries. 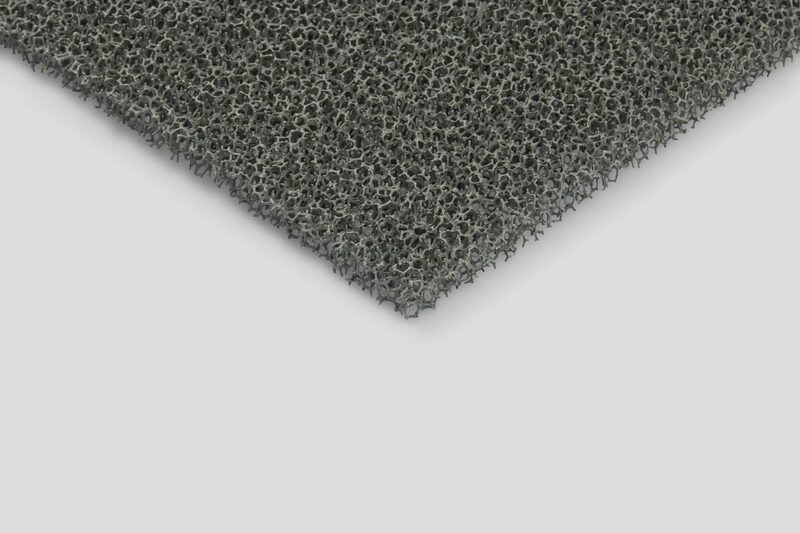 Zinc Foam is a lightweight, permeable and low-density format of the material. Itis a foamed, more resilient iteration of the brittle metal, and is highly porous, like many foams, whose volume is typically 75-95% occupied by void spaces. Zinc Foam has robust casting capabilities and was originally developed with aeronautical applications in mind. It achieves significant volume and strength while using minimal resources. These properties make itan excellent material for casting fast-moving components or components demanding absorption. Zinc Foam can be either gluedto another material, such as cover sheets oneither side of it, to form a Zinc Foam sandwich or become a metallic compound with other elements.